Ray Wilson, a World Cup winner with England in 1966, has died aged 83, former clubs Huddersfield and Everton have announced. Wilson had been diagnosed with Alzheimer's disease in 2004. "Huddersfield Town is devastated to learn of the passing of World Cup winner Ramon 'Ray' Wilson MBE at the age of 83," read a club statement. "Ray is arguably the most successful and best-known player ever to pull on a Huddersfield Town shirt, having been a key member of England's World Cup-winning team in 1966." Wilson made his England debut in 1960 and went on to win 63 caps for his country, 30 of those as a Huddersfield player. He joined Everton in 1964 and reached the pinnacle of his career in the summer of 1966 as part of Alf Ramsey's England team which beat West Germany in the World Cup final at Wembley. "Until very recently, he was a regular supporter of the Terriers at home match days alongside his eldest son Russell despite battling Alzheimer's disease, which he was diagnosed with in 2004," Huddersfield's statement said. "The thoughts of everyone at Huddersfield Town are with Ray's wife Pat, his sons Russ and Neil and the rest of his family and friends at this difficult time." 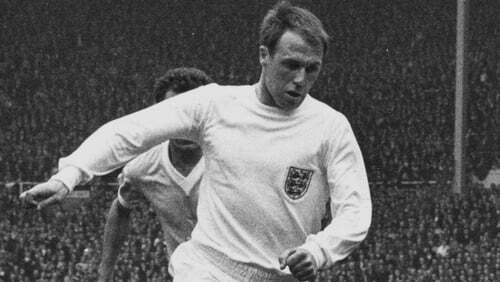 #htafc is devastated to learn of the passing of @England World Cup winner Ramon ‘Ray’ Wilson MBE at the age of 83. The thoughts of everyone at Town are with Ray’s wife, his sons and the rest of his family and friends at this difficult time.